Thanks to all the new and returning fans! "If I Grow Up" is now live on Google Play for $5.99! Its available now also on iTunes ($10) and Amazon ($8). Download the song "Losing Sleep" FREE from Danny Hauger Podcasts (right click and save) The latest Danny Hauger album release celebrates home produced, written, and recorded songs from 10 year acoustic performer Danny Hauger from California. Support the show, become a patron today! Tips are also accepted to support my music. Thank you Podbean.com for making me Podcast of the Week! Its an honor and for 10 years we have been giving away my music together, so thank you for that. On this episode I discuss my development for the song "Losing Sleep" and have a special performance to thank my old and new listeners and supporters for checking out Danny Hauger music! "Last night took a long walk, overwhelming my mind. Struggling to find faces, that would rather not see mine." The sound is a combination of alternative, modern rock, and acoustic singer/songwriter material inspired by Guster, Oasis, Nada Surf, and the Gin Blossoms. I hope people around the world have enjoyed the 2,000+ free downloads of the single here, "Losing Sleep" You can hear me introduce this song by listening to the next episode right above this one. 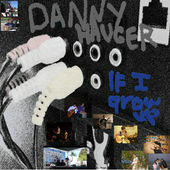 Support Danny Hauger's free downloads by buying a song or the album, "If I Grow Up", today! Share with friends and fans of indie and acoustic music! The album goes live on iTunes and Amazon on Tuesday! If you like to be the first person in your group to have new music, check out the album now on Google Play. Songs from "If I Grow Up"
For now, also enjoy this free download of the newly remastered song, "Losing Sleep". A sincere thank you for the continued support, I have given more than 280,000 free downloads now, help support my music by sharing it with a friend, or buying a song. Have a great St. Patrick's Day everyone! This is one of my favorite original songs, and I thank you sincerely for checking it out and supporting my passion for music! You can follow me @DannyHauger and @DHXmusic on Twitter. Subscribe to this podcast and get free music downloads from Danny Hauger every month! "If I Grow Up" is now live on Google Play! Its available now also on iTunes ($10) and Amazon ($8). Download the song "Losing Sleep" FREE from Danny Hauger Podcasts (right click and save) The latest Danny Hauger album release celebrates home produced, written, and recorded songs from 10 year acoustic performer Danny Hauger from California. The sound is a combination of alternative, modern rock, and acoustic singer/songwriter material inspired by Guster, Oasis, Nada Surf, and the Gin Blossoms. I hope people around the world have enjoyed the 2,000+ free downloads of the single here, "Losing Sleep"
Tour Toronto! You'll be glad you did! Danny Hauger Podcasts presents the 2015 Tour of Toronto, with thanks from See Toronto Now, we had an AMAZING time on Ontario, watch the YouTube video with photos and recordings, or listen to our podcast episode with Danny and Jessica Hauger, encouraging all of our listeners to get out and see beautiful Toronto! In just one week we experienced a multitude adventurous ranging from the educational to the entertaining, from the hilarious to the heart warming. Our visit to Toronto was a week we will never forget. In this edition of Danny and Jessica abroad, we visit Toronto, Ontario, Canada. 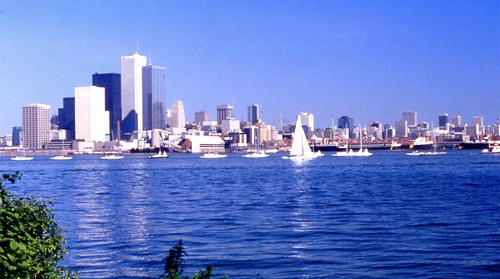 We learn a lot about the origins, modern day, and future of one of Canada's most popular cities. All of the audio was recorded live in Canada!! The podcast is represented through a conversation featuring flashbacks from live audio on location in Toronto's best sites to visit with Danny and Jessica Hauger! Listen in as we explore some of the major attractions of the city, including Casa Loma, CN Tower, the Rogers Centre, and so much more. Join us in our adventure through Toronto, an unforgettable week and beautiful Ontario. A heartfelt and huge thank you to our friends at See Toronto Now, start planning your trip today at their website and find out all of the latest events and news from the area. The main thing we want to say in our travel podcast is that there are many friends that you have never met, in places that you have never visited. It's a big world out there and one that's worth exploring! St. Lawrence Market, ranked #1 in the world by National Geographic! Plan your trip today! See Toronto Now! All photos and audio copyright Danny Hauger 2015. All Rights Reserved. YouTube Video uploading currently, check back soon! Yes! We are right around the corner from our Tourism Podcast in Toronto, Ontario, Canada!! ON today's podcast (see what I did there? The double caps? Like Ontario??) we discuss our excitement for our upcoming visit to Ontario, and all of the sights of Toronto. With thanks to our friends at See Toronto Now! We are thrilled to embark on a week long journey to explore the Toronto area. Just their Twitter feed alone is enough to make us update our itinerary of awesome things to do next week. We sincerely want to encourage our friends, listeners, and followers to travel this wonderful and friendly world, and extend a friendly and courteous visit to our neighbors, and see what is out there! Toronto looks like it will be an amazing place to visit. Tune in for our next episode when we review the Toronto Zoo, Aquarium, our trip to a Blue Jays game, Niagara Falls, and so much more! Taylor guitars! Yes, finally! I traded up and the sound is brilliant. Listen to part two of the show for a happy hey to my new guitar. And finally, but not least by a mile, I am a teacher (and still a broadcaster, writer, host, musician, and other things!!!) I have my first full-time teaching contract, and its a great time to be in transition. Next step... Credential Program City. Thanks for listening everyone! Thank you to Johnny Milford for the podcast introduction today, he does awesome work in media production! Don't forget to visit often for updates and free music! Subscribe now!